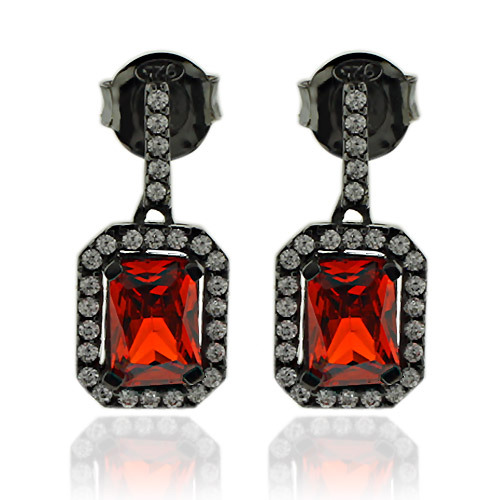 Emerald Cut Fire Opal Earrings with Zirconia In Black Silver. Oxidized Silver Earrings with Emerald Cut Fire Opal. Fashionable earrings with zirconia and fire opal gemstones (Approx. 7mm x 5mm). The earrings are made with Oxidized silver of the best quality. The perfect piece for you.